Hill Key Masters Raleigh NC offers a lock and key service that is accessible 24 hours a day. Whether it is lock repair, ignition repair, key duplication, or helping with an accidental lockout, we are available to assist. This is the local choice for a professional, insured, and licensed technician to help install new locks and ensure a long lasting security for your home of office. This is also the choice company for repairs on automotive locks and keys. Within 15-20 minutes of any call one of Hill Key Masters can arrive and supply the customer with any type of lock key or service. This includes products for cars, the office, or home. Hill Key Masters Raleigh Locksmith company does not function on normal business hours because it is understood that locks and keys can break at any time. This is also a valuable service for people who have been caught in a house or car lockout. There is a specialist standing by 24 hours a day. When it comes to transponder key reprogramming, car key duplication, igntion repair, or car lock repair we are the local experts. 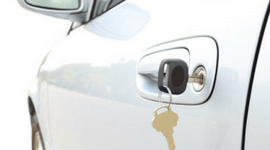 Hill Key Masters Raleigh NC is the guru for repairing minor problems in motor vehicle security more conveintly and cheaper than the local garage. There is no time to waste and there can be a technician on the road right now to help get you on your way. If you are the owner of a automobile, personal watercraft, motor cycle, off road vehicle, or truck – this is the service for you. Hill Key Masters is the locksmith Raleigh with all the essential products that can help create a reliable security for any home or office. This is a custom security system that will have a lasting defense. We can supply any type of lock including deadbolts, padlocks, combination locks, electronic locks, mortise locks, rim locks, time locks, and other types. Our business reflects our goal to make this city safer one door at a time. 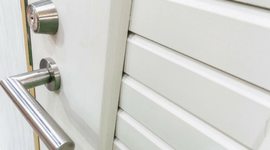 As our stock is regularly updated, we carry every make and model of lock and cut just about any kind of key from every top brand name you can think of. Every aspect of our business reflects this, from our storefront to each and every one of our dispatch vehicles. At this company we do not compromise on quality. If you are intrested in repairing or replacing locks then we should be your first choice and your only. We have a locksmith that specializes in custom security for the large and small businesses. We have all the hardware prescribed to help build a truely awesome security system. 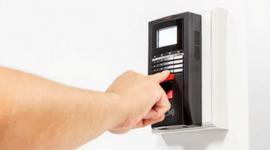 Like your business, our business has no time to waste and we can be on the way with state of the art equipment designed for your security. This is a great service for our clienetele and customer satisfaction is at an all time high. There is a specialist on our team that is an expert in safes and vaults. A safe or vault can be a valuabel addition to any home or office. It can be a great place to store any number sensitive or valuable items conveniently and securely. There are a number of styles and our expert can help recommend and advise on the proper safe or vault for you. This is part of our 24 hour service so there is no reason to wait! There have been instances when keys get broken while one is trying to open a lock. The worse part of it is when one broken part gets jammed in the lock. A person needs a dependable person or company who can do a broken key extraction. This service is included in the wide range of products and services that are being offered by Hill Key Masters Raleigh to their customers who might need such action to be done on one of their properties. This is a more reasonable action to be taken rather than replacing the whole lock because of the incident. © 2018 Hill Key Masters. All Rights Reserved.